Word is out that Tristar Pictures have (finally!) 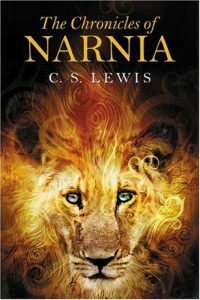 given the go-ahead to begin work on the 4th feature film adaptation of the Chronicles of Narnia series by C.S. Lewis. Next up is The Silver Chair — in which Eustace Stubb and his new friend from school, Jill Pole, wind up traveling back to Narnia… tasked by the lion-god Aslan with helping to find Prince Caspian’s missing son. As usual with any Narnia story, talking animals abound. In this case, that especially means owls! After the last two Narnia films (Prince Caspian from 2008 and Voyage of the Dawn Treader from 2010) met with less-than-spectacular results at the domestic box office, many began to wonder if any of the rest of the books would see the light of movies at all. Looks like at least one of them will! We found this out from Famous Monsters of Filmland, of all places. No word yet on a director, stars, or a planned release date for The Silver Chair. I consider "The Silver Chair" to be the least interesting of the seven Chronicles of Narnia. I can understand why they are being filmed in order, but I surely hope that Tristar Pictures can make the movie more interesting than the book. About a month before C.S. Lewis died, an s-f fan excitedly announced that he gotten into correspondence with Lewis himself, and had talked Lewis into writing an 8th Narnia novel. Nobody believed him. So he published his correspondence with Lewis as proof. He had said the seven Narnia books were wonderful, and Lewis should write more. Lewis said something like, Thank you but I have said all that I have to say about Narnia. The fan answered, No, you said at the beginning of "The Voyage of the Dawn Treader" that the story of how Narnia had gotten the Lone Islands was a separate story, and you haven't written that yet. Lewis answered approximately, "So I did. Well, I shall have to think about it when I get through with the many writing obligations that I have at the moment." It was obvious to everyone else who saw that correspondence that Lewis had no interest in writing a new Narnia novel, and he was only saying 'no' politely. A month later Lewis was dead, although hardly anyone noticed because he died on the same day that President Kennedy was murdered. That fan never stopped believing that Lewis would have written a new Narnia novel about how Narnia had gotten the Lone Islands, if he hadn't died. Hah! Famous Monsters of Filmland says, "Want more Narnia? Who doesn’t!" Well, the producers of the first three movies don’t, after the “failure” of the last two. That's why they stopped filming the books after "The Voyage of the Dawn Treader". I am glad that Tristar Pictures has picked up the series. With luck, Tristar will subcontract the production to the same company that produced the others. I think that was MPC (Moving Picture Company), which has studios around the world. MPC is the company that Disney usually goes to for its live-action fantasies like this year’s “The Jungle Book”. A little more info here (albeit not much).